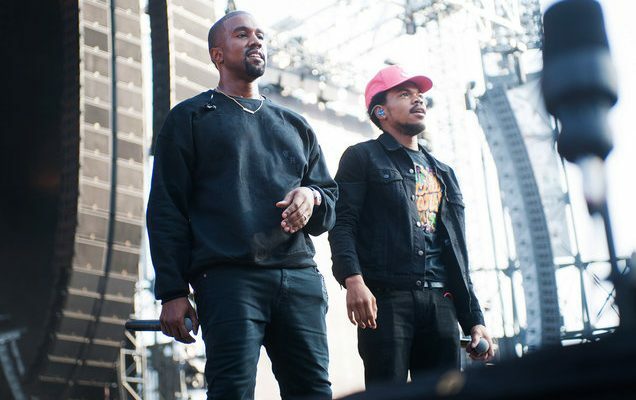 Kanye West has been part of multiple 2018 projects including his joint effort with Kid Kudi Kids See Ghosts as well as his own Def Jam-released Ye, yet the controversial rapper has more up his sleeve, this time with Chance The Rapper. Back in July, Chance shared that Kanye would be coming back to Chicago to produce on his upcoming album. Yeezy made the triumphant return to his hometown earlier this week, from which multiple pictures and videos have surfaced. The 41-year-old posted a clip chopping up a classic Jackson 5 sample in honor of what would have been Michael Jackson’s 60th birthday. “We had to chop this up for Michael’s birthday,” West wrote on Twitter. While speaking to reporters after leaving a local radio station, Kanye confirmed that he was in town to work with Chance. “I came home to work with Chance on his new album,” he said. Now it’s a waiting game to see what comes of these sessions.